Keller Williams Realty | How Are They Growing So Fast? 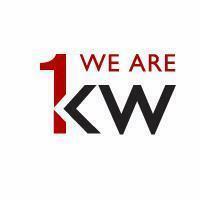 Keller Williams Realty is the largest real estate franchise in North America. This wasn’t an easy goal to accomplish. With the ever-changing market and scores of other real estate companies, it takes a certain formula to be the best company to work for. It may come as a surprise to you, but Keller Williams Realty hasn’t been around as long as you would think. Compared to other top real estate firms that have been around over 100 years, Keller Williams seemed like a long shot to overtake century old companies as the king of real estate franchises. Recessions, depressions and the worst economy in the history of the country have been survived by other companies, but KW has shown that a proven real estate business model that works in any economy is the secret to longevity in any industry. Started only in 1983 in Austin, TX, KW was started as a traditional real estate firm, meaning, the main focus of the business was about building the career of the broker and the success of the agent wasn’t really a factor. Soon, founder Gary Keller realized the main reason he was in business was because of his agents, not him. He understood that advertising to the public served only one purpose, to recruit real estate agents. It’s one thing to recruit agents, but teaching them how to run a successful business was a completely different ball game. Bucking the system of traditional real estate firms, Keller set out to do more than just grow his brokerage. He wanted to grow his agent’s careers! By training his agents to be the best they could be and giving them the tools they needed to run their businesses, he wasn’t just helping grow his business, but his agents as well! So what has focusing on the agent’s business and not the broker’s business done for Keller Williams? Being the only large real estate franchise to see growth in every stage of the market speaks volumes to the integrity of the Keller Williams business model. While other companies are shutting their doors, KW is continuing to expand market share worldwide; growth from new agents looking for the best training, experienced professionals looking to join forces with the only company that thrives in all economies and other brokers realizing the Keller Williams business model is the best avenue to stay in business. If you are in any of these situations, you have to consider a career in real estate with Keller Williams. You owe it to yourself to build the career you want. Come see why you have to be with Keller Williams Realty!